What makes this Toronto studio unique is the old-world technique and hands-on details from start to finish. Our passion is to deliver the most beautiful hand-made tiles that will transform any residential or commercial space into an extraordinary dwelling. Our handmade tile begins with the wet clay and the artists hands. We use a clay that is specially formulated to have the characteristics of workability, strength and color to make beautiful, durable tile. The three elements of artist, clay and design come together for the creation of every tile we make. Our goal is to make amazing tile exactly the way you want it. We are unique from anyone else. We focus on working directly with you, all right here in Toronto, to create the residential and commercial projects of your dream, all in a timely manner and with a great customer service. Black Rock Studio’s tiles really pulled together the overall look of the spaces we have designed and create a beautiful focal point. They are a great feature in any space! I fell in love with these handmade tiles the minute I saw them. Catherine’s creative spirit shines through in the design, the texture, the tone and the luscious creaminess of these beauties. Everyone who comes to our house falls in love with them too! Plus, Catherine’s the perfect blend of creativity and precision, artist and businesswoman. It was a pleasure to work with her. We wanted something special for the backsplash in our new kitchen, but found that all the tile shops were offering much the same mosaics and subway tile. Black Rocks hand made tiles gave us exactly what we wanted, beauty and distinctive style. We have worked with Catherine at Black Rock Studio on several custom tile projects. 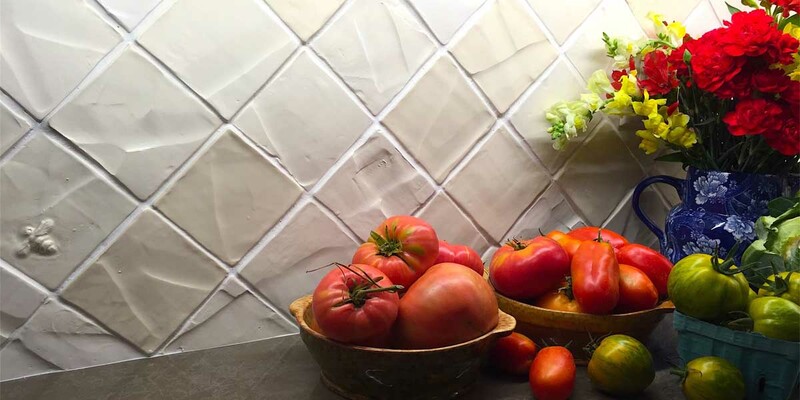 She crafted incredibly beautiful handmade tiles for kitchen back splashes. Catherine is creative, professional and very easy to work with. Her work exceeded our expectations, which in turn meant our clients were extremely happy. Don’t miss out! Design tips and new designs delivered directly to your inbox once per month.